Some readers may know that UFO and conspiracy author Jim Marrs wrote a cover blurb for my book a short time before he passed away this year. I was thrilled with his generous comments on The Close Encounters Man--but saddened that I never got the chance to get to know the man. 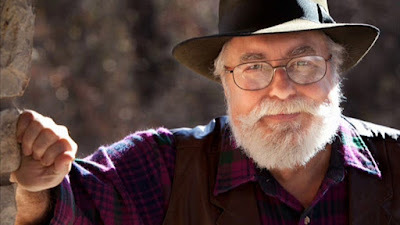 To introduce myself, I am Jim Marrs' old assistant. I just wanted to let the other shoe drop as the dust now settles over the Jim Marrs estate since his death on August second. About three or so weeks before his passing, Jim handed me the envelope enclosing the manuscript of "The Close Encounters Man" and he didn't say much, just gave me a hard look over the rim of his glasses. "Read this, it is good." is what he said. I have just finished this fine work and I think one of the reason's he loved it so was that it was a desire of Jim's to have something done regarding his own life on this caliber. He was most impressed with the tenor of the book, how well researched and the tenderness of dealing with the demise of Dr. Hynek at the end. Jim was in this stage of decline when he read this manuscript and he had lost the use of his right eye before he finished this book and it wasn't easy for him to get to the end because of his failing vision, but he did. This was the last book Jim Marrs ever read. I just wanted you to know this point. I hold this manuscript now as a priceless treasure! 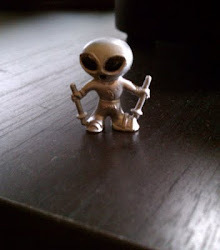 Jim Marrs grew up from a young boy dreaming about UFO's, and even did a watercolor of one when he was 9 years old. (I have that too.) 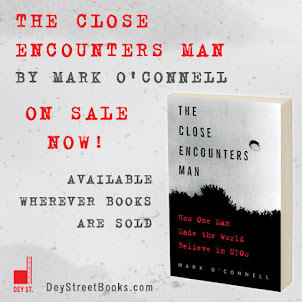 And it is interesting that the last book he read was the somewhat frustrating life of another UFO researcher, albeit a scientist and not a journalist like Jim. This book brought Jim full circle. I cried when I read the last line thanking the aliens. Nice touch! He did appreciate your book and I know he enjoyed the content and the flow of the biography. Nicely done from my point of view as well. I throughly enjoyed all the historic nuance you brought in like how all the UFO groups gossiped and quipped amongst themselves, which is still going on today. Most tenderly I love how you said that Hynek "entered the supersensible realm." I may steal that one in the future. I imagine Jim and Allen having a nice chat with each other with an audience! Even enjoyed your acknowledgements, not just names mentioned but why and how they helped you. Job well done and there were no mistakes I could see! I hope your sales go through the roof. I have endorsed this book on my facebook. It was a book that needed to be written! As you might imagine, I am quite blown away by this. I've given it some thought... Just not sure if I want to write another biography right away.